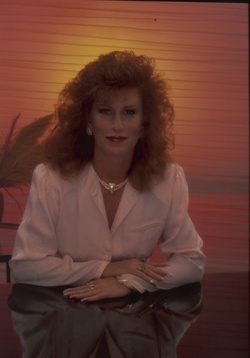 Founded in 1983 by Becky Lynn (shown in 1990 photo). The company is now known as Imagina Products. Only Imagina Products have 24 years of Becky Lynn tradition behind them. Because we invented self-adhesive material wraps, we understand every aspect of their manufacture. When these products get the Imagina name, you can trust they are tops in quality and workmanship. You can use products from Imagina Corp. with confidence.